Go ahead; call me an optimist and a dreamer. It’s okay, I can take it. I believe in the power of our dreams and I also believe miracles happen. Sometimes it is an amazing medical recovery. It could be a family reconciliation. I realize bad stuff tends to get a lot of publicity, but good things happen too. During this time of year when we celebrate holidays I hope that you experience the miracle of what love and sharing your life experiences can mean for others. If it changes one person for the better go ahead and call it a miracle. Holidays are times of gathering together with family and friends, of exchanging gifts, enjoying meals, celebrating our beliefs and (hopefully) appreciating the many wonderful joys that make up our lives. I do realize that sometimes life can be hard and not everything is joyful. Those who’ve suffered loss often find the Holidays a time of sadness as they grieve their losses. But I have found that even through our losses we can find joy. Both of my parents have passed on in the past few years and I certainly miss them at Christmastime, especially because they had birthdays at this time of year. Dad was born on Christmas Day and Mom the day after Christmas! But I am so grateful for their lives and the lessons and values they passed on. A great spiritual lesson is that true joy can only be found when we embrace all our life experiences, the positive and the negative. Everything in life can be a lesson. Going on holiday means taking a trip, often traveling to exciting or exotic locales where we can enjoy a retreat from our daily responsibilities, experience new things and ultimately return with a greater appreciation for our life journey. Going on a holiday can help make your story more memorable as you will have rich experiences to share and a new perspective on your life story. If you are embarking on such a holiday at this time of year I wish you all the best. 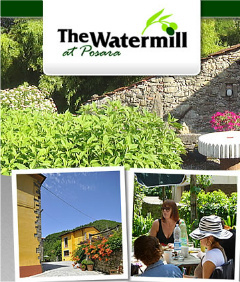 Next summer I will be combining a holiday with a weeklong “how to write your life story” program at The Watermill in Posara, Italy. It will be intensive and intimate. There will be plenty of one-to-one help, inspiration, direction and tips. You and a handful of other students will be led on a life story writing journey to explore your creative gifts, key life events, life purpose and unique tale. You will finally make headway on the dream of a life story narrative. The Tuscany region of Italy is beautiful. Imagine spending a week there, visiting sights, eating great food, spending time with friends and like-minded aspiring writers as we explore our life stories and make real progress on a memoir. PS – When you sign up for the How to Write Your Life Story” program you will get prior access to some individual consulting and writing assistance from me as part of the deal. I will spend time consulting with you and reviewing some of your work in advance at no additional cost (a $250 value)! The Memoir Network is a group of writing and coaching experts who can help you with your writing. I believe in looking for assistance wherever you can get it, especially in the area of life story writing. The new forum is free to use and these specialists have launched it as a resource for memoir writers. You can join here. Again, it is a free offer, so why not check it out? I also recommend you read this article as it offers excellent reasons for joining a memoir writing group.